At its heart, the issue is more than compliance. It is the risk of possible breakdown of a strong nexus between insurance firms and motor car dealers that makes the business the top earner for the former. Insurance companies selling motor vehicle policies rushed to additional solicitor general Tushar Mehta recently to ward off the biggest risk to their balance sheets from two Supreme Court orders this year. The stakes are so high that even on Sunday the companies and their representatives, General Insurance Council, were locked in arguments over the extent of relief they want. The companies want Mehta to argue for them, so that they get more time to comply with the court orders. They also want cars to be excluded from the ambit of the multi-year insurance policies. While the finance ministry and the insurance regulator, Insurance Regulatory Development Authority of India (Irdai), have agreed that the industry has a case to seek more time, they have also advised them to tell the court they are taking steps for compliance. The GI Council met Irdai on July 31 to make their fight more broad based. One of the things they want the regulator to come up with is definition of the scope of the expanded third party (TP) and their possible premium rates. The companies, however, want the council to widen their petition before the SC to include a review of the types of motor insurance policies. In May, the court asked the general insurance companies not to sell TP insurance cover to vehicles without a pollution under control (PUC) certificate. The road transport ministry asked the firms to show compliance in 15 days, a deadline they missed. The companies were hit by another direction within two months. This time, they were asked to alter the TP policy terms to make those run for over a year so that no road accident victim was denied compensation due to lack of insurance cover for the vehicle. The court used the recommendations of a committee set up by it under former judge K S Radhakrishnan, directing the companies to roll out a five-year TP for two-wheelers and three-year TP for four-wheelers. According to government statistics, 150,785 people were killed in road accidents in 2016. The number of accidents has come down by 4.1 per cent year on year. 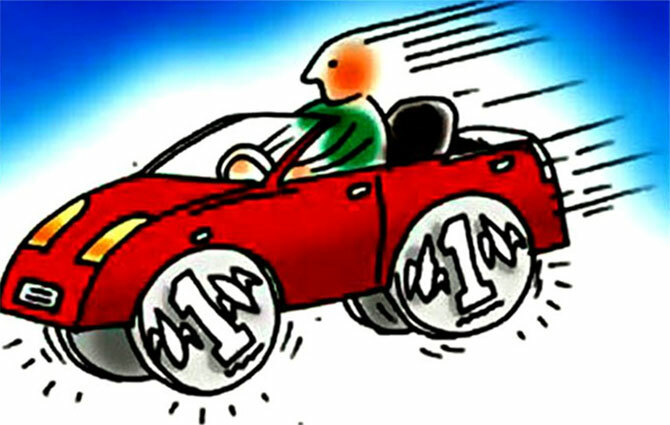 Motor vehicle insurance has a minimum of two components, TP and own damage. The former is mandatory and provides for compensation by the insurance firm to victims. But a large percentage of two-wheeler drivers - about 70 per cent - avoid buying any insurance cover after the first year of running their vehicles. A multi-year TP policy takes care of the risks better. Compliance record of car owners is far better. An industry data claimed that 85 per cent of private cars have TP and own damage policies till the third year. On record, all companies welcomed the court decision. But the 21 companies are rattled that the two orders could cut into the size of their motor insurance business. The higher cost of buying TP insurance could make people reluctant to buy own damage policies, which is the most lucrative part of motor premium. Motor insurance business accounts for 39 per cent of the gross premium earnings of the non-life insurance companies, of which own damage forms over half, according to Irdai’s latest data. The next largest is health insurance. “It (SC order) has economic implications in terms of the cost of buying a car going up, which might lead to the consumer (to his detriment) choosing just the TP option. This could see the own damage market shrinking,” notes the representation on behalf of the companies by the General Insurance Council. To maintain their market share insurance, companies offer financial support to dealers, which could come unstuck if the own damage market turns weak. Meanwhile, the costs of selling TP insurance for cars and two-wheelers could rise as they would have to deploy personnel to check if vehicles have valid PUC certificates. Anurag Rastogi, member, executive management, HDFC Ergo General Insurance, said, “We expect the distribution models for selling TP policies to change. "Motor dealers offer insurance policies when vehicles are sold from showrooms, so it makes no difference to offer a one-year or multi-year TP. The longer-term policies would see a rush to consolidate the smaller business leading to a possible squeeze on the retail agents, who depend on renewal premium. R Chandrasekaran, secretary general, GI Council, has proposed to advise Mehta to make a plea on the above lines on behalf of the industry before the SC and “seek an early listing to put forth the issues”. In an effort to rope in other stakeholders, it has also suggested that the court should order RTOs to refuse to register vehicles unless they can produce a long-term TP. The companies, meanwhile, are sending a silent prayer there would be no more directions on them to alter the terms of the motor insurance sector this year.